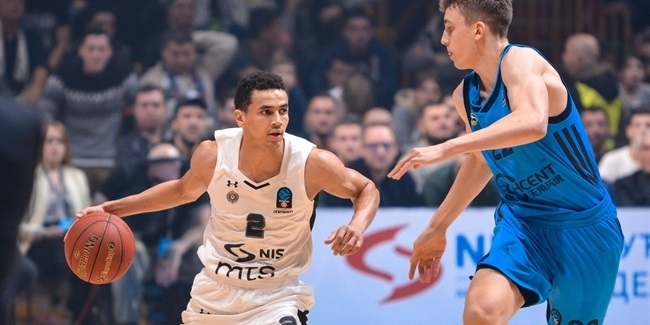 A young Partizan NIS Belgrade squad registered its first 7DAYS EuroCup win this season, 89-82 over Zenit St. Petersburg, after its faithful fans created a deafening atmosphere in key moments at Aleksandar Nikolic Hall in the Serbian capital on Tuesday. Feeding off the crowd, Partizan displayed a great amount of energy – understandable for such a young team – but also showed poise, focus and resilience to get the victory. Partizan simply refused to go down, rallying to tie or lead despite falling behind by 8 or more points on four occasions in the first 22 minutes. 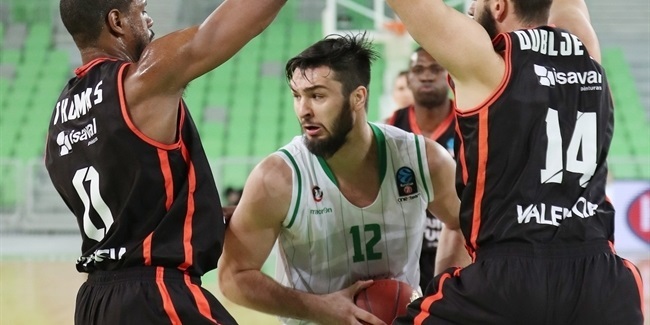 What gave the team the boost to finally get over the hump was the performance of 23-year old power forward Rade Zagorac, who finished with 16 points, 6 assists, 5 rebounds and 5 steals. Rade Zagorac was a steal machine in @PartizanBC 's win last night! Especially impressive was Zagorac's third quarter, when he scored 12 points, but also made 3 steals in a span of only 35 seconds. Each steal started a fastbreak that finished with free throws or a dunk like the one that Zagorac slammed for a 52-51 lead. Once the young power forward stopped picking pockets, he showed off his range by knocking down a pair of triples within 55 seconds of each other, sending the crowd into frenzy. 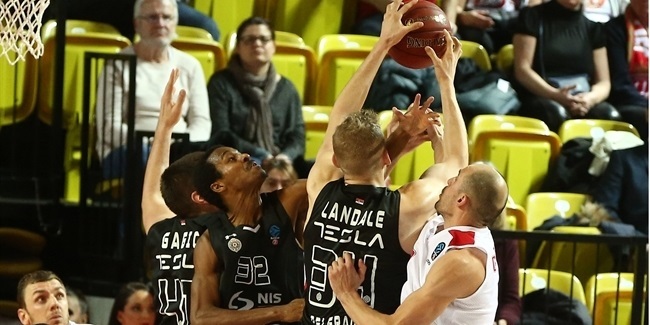 His effort fueled a 21-4 takeover run that put Partizan in front by 63-55. Zenit later surged ahead and there was plenty of battling left before the hosts prevailed. But even if his outburst did not win the game, Zagorac certainly got Partizan's players and fans believing strongly in their chances against Zenit – and for the rest of the season.